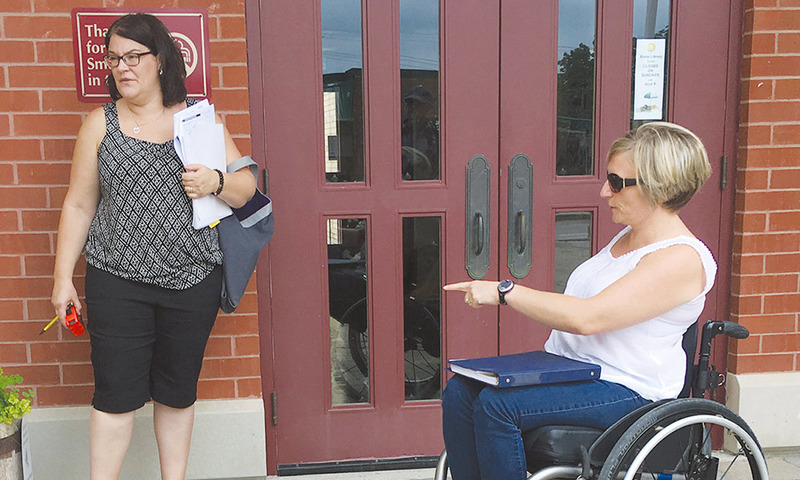 In this monthly column, over the past year and a half, I have told readers about the Huron County Accessibility Advisory Committee (HCAAC). The last HCAAC effort I wrote about in The Citizen was the awards given to Blyth Cowbell Brewing Company, Huron Midwives, Glassier Physiotherapy, Blyth Memorial Hall and the International Plowing Match. That is just one aspect of the HCAAC. The committee is made up of eight members of the public as well as several county staff. Each person has either personal or professional experience with the accessibility issues. 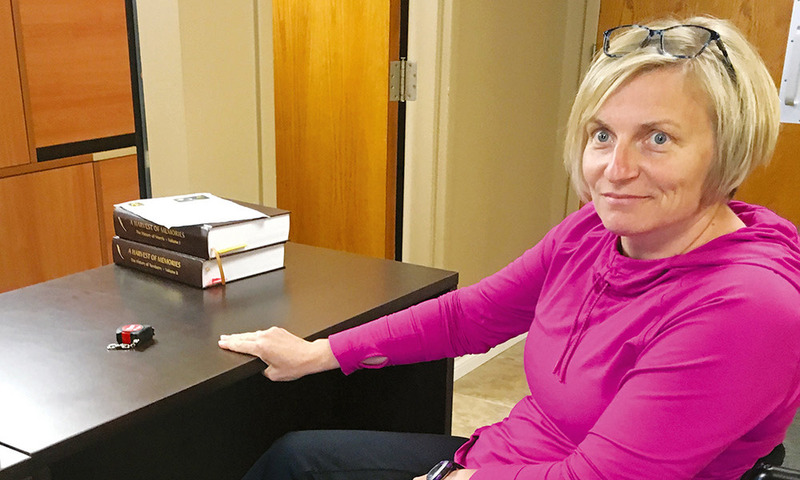 Now that municipal governments are back up and running, each municipality within the County of Huron can use the free advice offered by the HCAAC. Over the past year, the site review subcommittee has visited municipalities, including North Huron, Morris-Turnberry, South Huron, Central Huron and Huron East providing advice and a full report to help create more accessible township offices, libraries and arenas. If you live in one of these locations and have noticed a difference, then the process is working. If you know of something that needs to change, bring it to the attention of your local politicians. Ask council to refer back to the HCAAC site review report to see what changes can be made. Councils should not be afraid of what the committee has to say. It is advice, that’s all, but good advice. You see, buildings that were built or renovated under previous building codes (prior to 2015) need only adhere to the accessibility specifications from that time. For example, if there were no requirements for accessible washrooms when the building was built (way back in 1935) then there is no requirement now. Having said that, if the business or building owner wants to be able to serve the greatest percentage of the population, wouldn’t it be smart to do so? That is where the HCAAC comes in. Advice ranges from providing proper seating in waiting areas (like at municipal office front counters) to posting proper signage for parking and changing the height and location of waste baskets, grab bars and toilet paper dispensers in washrooms. None of these are major expenses, but they all will help improve the safety of the patrons. Of course the committee did see washrooms that would need to be gutted to come up to current day standards! There are always small changes that could make a difference, meanwhile council can save up for a major renovation. The arenas built in the 1970s that have barely seen new paint let-alone new bathrooms? That’s where some money could be spent! But some are quick fixes, like changing the direction of the hinges in order to accommodate a wheelchair. As municipalities (and the county libraries) begin to make more and more improvements to the accessibility of their public spaces, then other initiatives will benefit. Take, for example, the Goderich-to-Guelph Rail Trail (G2G). As the development of the trail proceeds more parking and washroom facilities will be needed. The flat, accessible nature of the trail will bring people of all abilities, all of whom need washrooms! Another example are the Blyth ball diamonds and the campground. They rely on the washrooms at the arena. If North Huron improved the accessibility of the washrooms, then the number of people visiting – even for just one game – will also increase. The more people who come to town, the more lunch, coffee, sunscreen, and beer (you get the idea) they will buy. Stop being afraid to ask for help! Little things can make a big difference and don’t have to cost a lot. Ask the HCAAC (or your local expert, julie@juliesawchuk.ca) to help your building come up to a standard that is better for everyone. If you are interested in having the HCAAC review your site please contact the County of Huron at 519-524-8394 ext. 3224.